I did a little research after blogging about Monday night’s episode of The Big Bang Theory about Sheldon Cooper and his connections with autism spectrum disorder. This should make things more clear, but as we’ve seen several times this season, there’s always room for overlap. Last summer, creator Bill Prady went on the record saying Sheldon doesn’t have Asperger’s in the face of unscientific polls suggesting the contrary. Prady told TV Squad’s Allison Waldman that he never had Asperger Syndrome or any form of autism in mind when writing for Sheldon, writing the character as the character. The A.V. Club discovered in an interview with Jim Parsons, who plays Sheldon, that Parsons himself asked the writers if he had Asperger’s. Parsons hasn’t approached them on the topic since, but he read Look Me in the Eye by John Robison after Big Bang co-star Johnny Galecki recommended the book, noting the comparisons to Sheldon. Parsons notes the intellectual nature of Sheldon’s character makes it easier for viewers to leap into the autism realm; he often wonders what elements of the autism spectrum are included in scripts despite the character not being on the spectrum. Waldman’s analysis mirrors my conclusion on why the writers refuse to make the leap, but she presents the argument in vocabulary that would not rival Spock (I consider him to bear the closest resemblance to me of any fictional character, read my Star Trek post to find out why): If Sheldon did have a diagnosis, his friends could no longer mock him and would be constrained by the nature of the spectrum (implying an ironically interpersonal quality for a condition known to create introverts). There is a precedent: an episode of House featured an autistic child and suggests a possibility that Gregory House’s personality is a result of Asperger Syndrome, a hypothesis that was later refuted by his colleague, Wilson, as an excuse for his behaviors. After reading these articles, fans will have to carry on with Sheldon not having an official diagnosis in the same way multiracial people carry on with their lives even with the current President not officially recognizing his multiracial status. Given my examinations this week, perhaps we’re looking for a label to please ourselves than the actual parties involved. Sheldon is quite hilarious on his own as fans wait to see what nerdy exploits he pursues, what ways he’ll insult Penny, and how he’ll annoy his friends to no end. What more could be requested for a show that bases its comedy on intellectualism, a rarity among the prime-time lineup? I’m sure I’ll find another show this season and in years to come that highlights Sheldon’s “trips” to the autism spectrum while not staying there permanently. This blog marks the first time I’ve analyzed CBS’ hit show The Big Bang Theory this season. After watching this week’s episode, “The Einstein Approximation,” I saw several examples of the writers avoiding any attempt to link Sheldon Cooper with the autism spectrum, but certainly toying with those traits whether they intend to or not. My most popular blog last year was an overall critique of Sheldon, portrayed by Jim Parsons, and how he and the production staff of Big Bang handled inquiries regarding Sheldon’s mental state. The creators summarized his behaviors as “Sheldony,” but even without an official label, I’ve often cited the show as a great illustrator for autism and how others respond to the bohemian characteristics of Sheldon. In Monday’s episode, Sheldon attempts to solve a physics problem and devotes all his effort to solving the problem, using anything nearby as a prop. Unfortunately, his quest for knowledge usually comes at the expense of his friends. One scene combines two trends of autistic people and employs them for comedic effect. The first represents an obliviousness to the surrounding environment because Sheldon is focused solely on his mission. Since Sheldon can’t sleep while he’s solving a problem, he leaves his apartment in the middle of the night and enters a ball pit inside a kids play area (rigging a tumbler and alarm system to get inside). A security guard then calls Leonard, and Leonard arrives to bring Sheldon home. Before Leonard meets Sheldon, the security guard tells Leonard that he once worked a party with a “special” kid, special a clear reference to a mentally disabled child. Leonard replies that Sheldon is “extra special.” Again, the writers don’t consider Sheldon an autistic, but Leonard’s reply reinforces the audience that Sheldon’s thought process is vastly different from his academic and social peers and could be easily interpreted that Sheldon, at the very least, definitely has traits that match with autism spectrum disorder. While fans familiar with autism still relate Sheldon’s behavior to that of an autistic friend or relative, I haven’t read any articles or noticed a recurring pattern on the show that suggests a direct link in the Big Bang timeline. Seeing almost every episode since season 2, I’m convinced that making Sheldon an official autistic would remove most of his comedic value. We understand much more than we did when Rain Man was released, but after seeing the domino effect that occurred after Dr. Andrew Wakefield suggested a link between vaccines and autism, the precedent exists to suggest that fans, TV critics, and casual mainstream viewers could blindly assume that anyone with autism would interact the same way as Sheldon. That assumption would certainly complicate the education process and perhaps kill the momentum The Big Bang Theory is riding. For now, I’ll continue to enjoy the comedic follies of contemporary television’s favorite nerds while I watch for more “hidden” signs of autism that find their way into the show’s script. I mentioned in my last post that my co-worker told me I was exactly like Sheldon Cooper from the CBS show The Big Bang Theory, and an argument can be made. In fact, there’s a lot of discussion going on about the character played by Jim Parsons and if he is indeed on the spectrum. 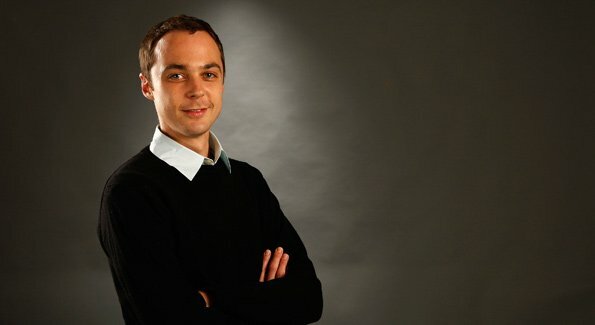 One of the creators considers it coincidental and Parsons himself said his character isn’t on the spectrum as far as he knows, but Sheldon may display more facets of the disorder in future seasons (the show was picked up for two more seasons on CBS and will now follow its sister show, Two and a Half Men). I talked about this revelation in an interview I did for the next installment of my autism documentary series. My neighbor and I discussed the potential for a flagship character autistic people can identify with on primetime television. While Sheldon’s behavior continues to show signs of Asperger Syndrome (his intelligence is high, but his social skills are non-existent), creators Chuck Lorre and Bill Prady ultimately may not make the distinction official in the show’s canon. Although the show doesn’t make baffoons out of the nerdy nature of Sheldon and his highly intellectual friends, my neighbor and I thought there’s a chance that if the writers did decide he was on the spectrum, some members of the autism community could interpret such a development as making fun of autistic people. As the show enters its third season in the fall, I think more people will get a glimpse of what an autistic person might process in his or her mind. I wouldn’t be surprised if the creative team does explore the autistic realm with Sheldon as more people question the creators and Parsons about Sheldon’s presumably autistic behavior. As the fanbase and ratings continue to increase, I haven’t seen any backlash from viewers about the behavioral patterns of any character. Anecdotally speaking, fans I’ve talked to say Sheldon helps make the show what it is, suggesting that people aren’t taking this as mocking autistic people. Spock and Data may get some competition as icons of the autism spectrum before long.